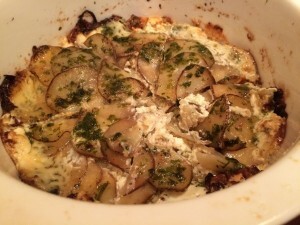 This is one of those recipes that is simple and was created based on some ingredients that I had on hand in my fridge and pantry. 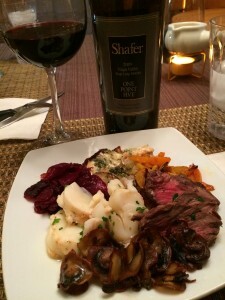 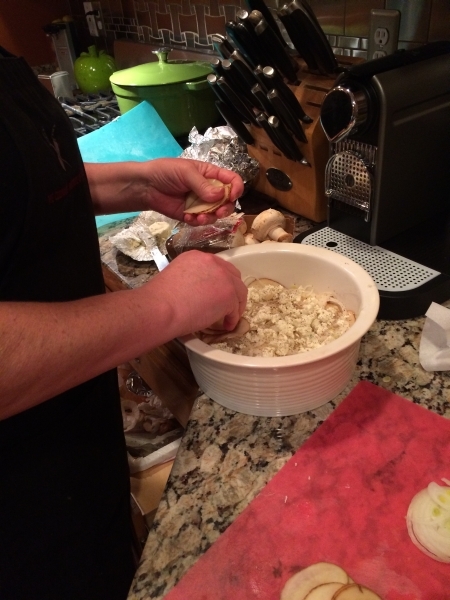 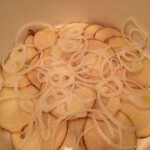 I always have onions; usually have a few russet potatoes, and had some flavorful creamy cheese that I love! 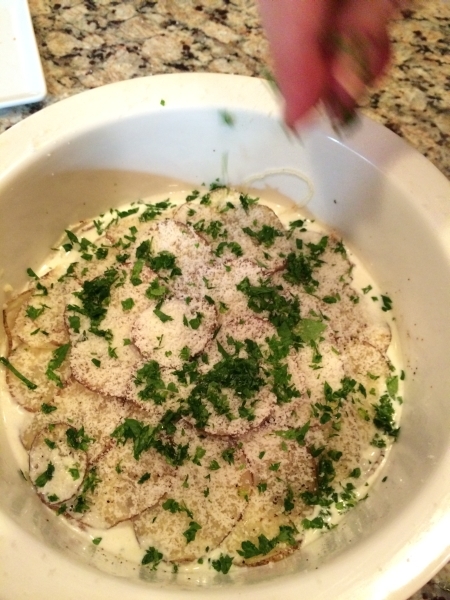 I added some heavy cream, butter, salt and pepper, fresh herbs, and Parmesan cheese. 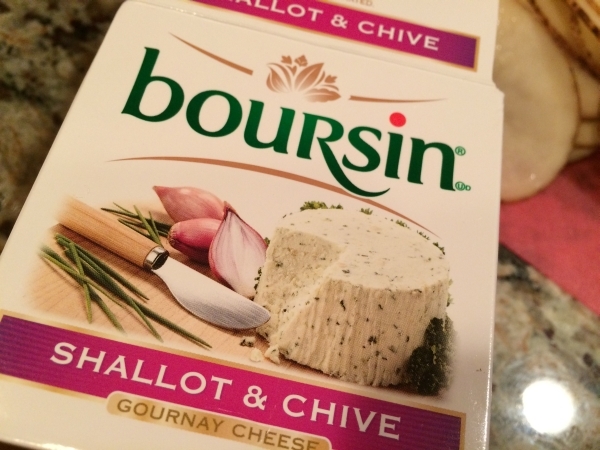 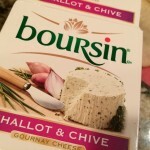 Boursin Cheese is one of my favorites. 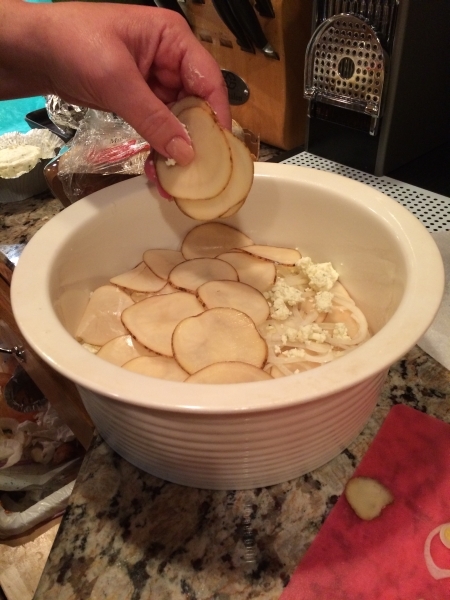 I serve it along cheese trays and even use it as a simple dip for celery or carrots. 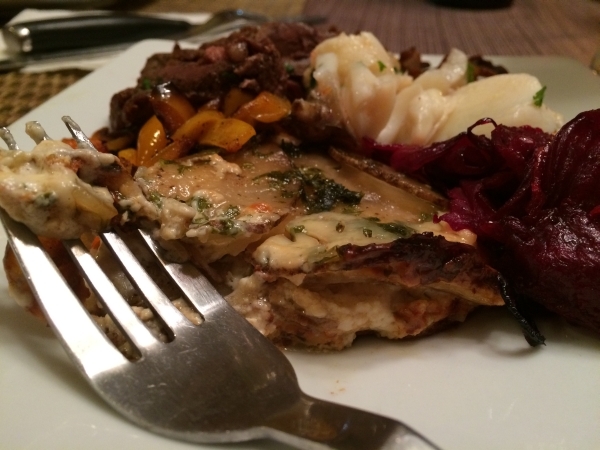 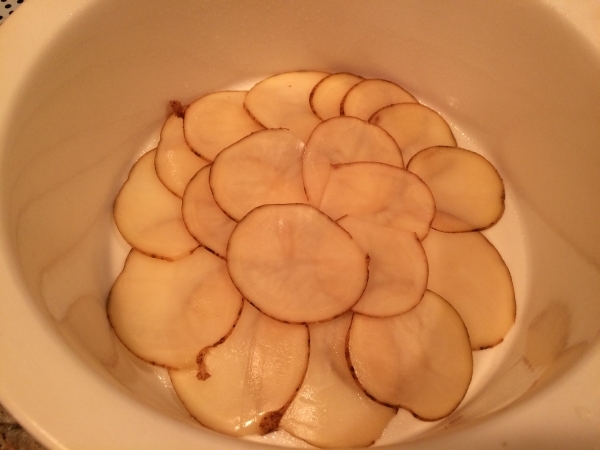 Jen and I wanted a delectable dish that would go well with the lobster tail we prepared for our “pre-Valentines” celebration and came up with this potato bake. 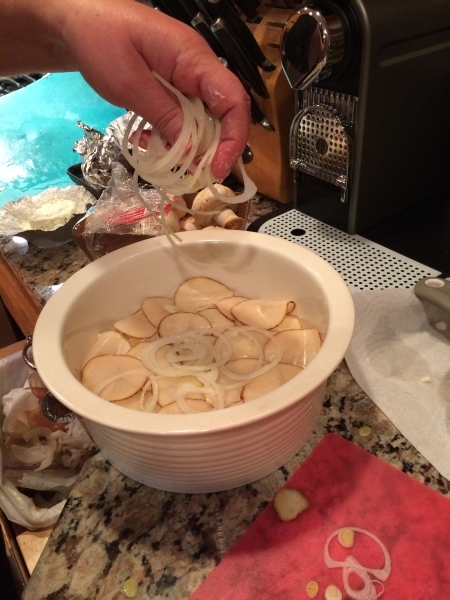 You can use whatever herbs are your favorite or in season. I chose fresh parsley and thyme, which are our favorites. 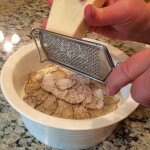 I thought about sage, but decided against it since it can really overpower a dish. 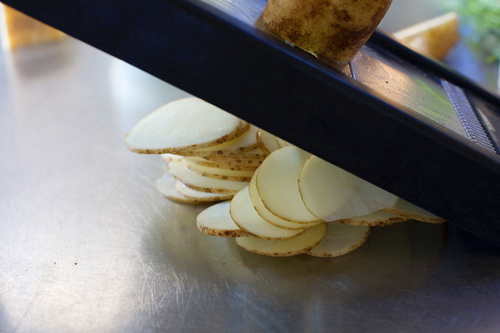 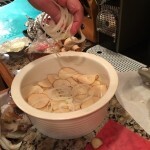 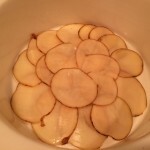 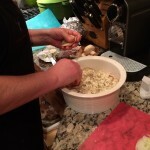 Wash and slice potatoes (leaving the skin on); peel the onions and slice them very thin using a mandolin. 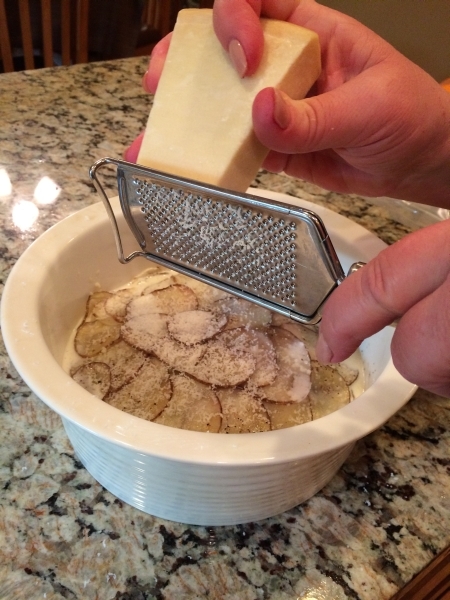 Spray a baking dish with nonstick cooking spray or rub with softened butter for more flavor. 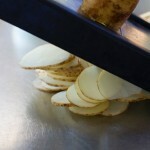 Line a thin layer of potatoes on bottom, overlapping slightly. 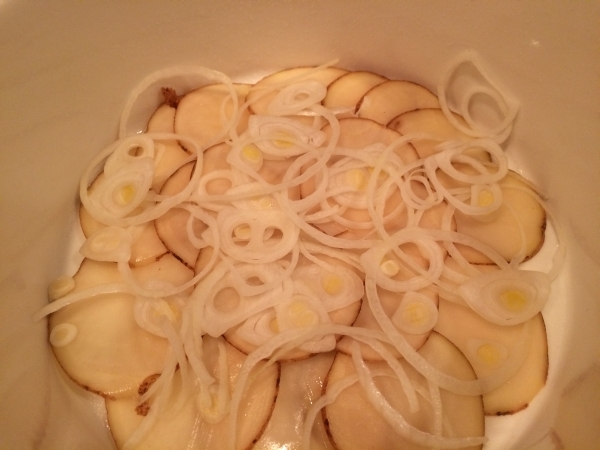 Layer onions onto the potatoes and add crumbles of the cheese. Continue with layers. 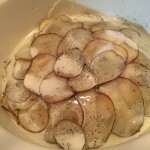 Season layers with salt and pepper and continue to layer for at least four layers. 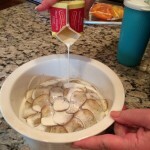 Pour on the cream and season with plenty of salt and pepper. 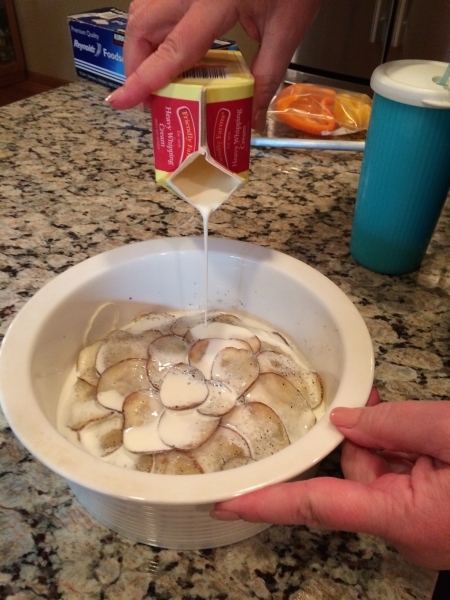 You may need more cream to cover potatoes to the top layer. 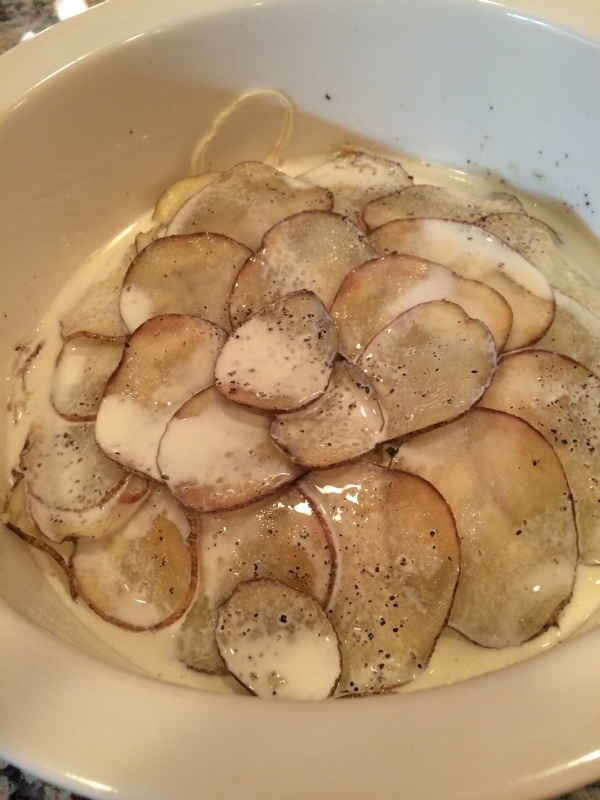 Bake for 45 minutes, or until bubbly. 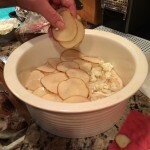 Allow potatoes to sit for around 15 minutes before serving.